I can't say I've been a very assiduous blogger recently. Not that I care, mind. But when I see the last post written was on May 7, it comes a quite a surprise. Time seems to have accelerated since then. You should have seen us walking round the adventure motorcycle expo organised by Touratech in Orange. I drove us there as we couldn't take the bike, and he got sympathetic looks from all the hard-core adventure bikers. He actually looked like he'd been involved in a little too much adventure except that he'd just fallen off his bicycle. The shame! It'll be a while before he can go off on his own adventures again. Instead, we were happy to sit and watch a presentation by Anne Girardin from annamotodiva.com recounting her trip from Alaska to the south of Argentina over a period of ten months. She had barely even sat on a motorbike before she undertook this mammoth ride! It was a very inspiring presentation, and her photos were fabulous. I've also been doing a lot of reading for friends. One asked me to proof-read his latest book and then, later, to leave a review on Goodreads. I found the review quite tricky because I'd been reading it to find errors, not getting to grips with the story. I also wrote it a couple of weeks after I read it so my recollection of the story was a little hazy. 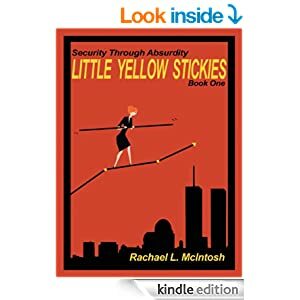 Then I bought the Kindle version of a book by another FB friend entitled Little Yellow Stickies: Security through Absurdity. Once I'd finished reading it, the author asked me to write a review for Amazon.com. I already had on the UK site (because I always write book reviews), so popped over to copy and paste my review into .com. Then this weekend, I received fellow blogger Samantha Vérant's pre-publication edition of her romantic memoir 'Seven Letters from Paris'. I finished it this evening, and have to send the book on to the next on the list of pre-publication readers. 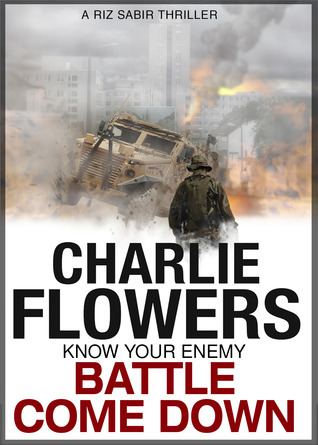 We will all leave a review on Goodreads the day it's published on Oct 1. I'll have to write something down before then or I'll have forgotten it long before. I've known about this book for some time but reading it was something else. Sam's done a great job telling the story of how she met her husband, or should I say, she met him, then went back to the US. He wrote seven truly romantic letters to her after she went back to the US, the stuff you dream of receiving, but she ignored him for twenty years, until she finally came to her senses and sent him an apology. To his credit, he wrote back and they picked up where they'd left off. He needs a medal for perseverance, I reckon! I was telling my (French) DB about Sam's husband Jean-Luc. My DB is not very romantic so when I was telling him about everything that Jean-Luc had done for Sam, he said he needed a good talking to as he had just raised the bar for every Frenchman who wanted to get intimate with an American girl... After reading that book they'd be expecting castles, romantic letters and all sorts of effort. He perked up though when I told him that JL had previously been married to a young Russian. From being a bit of a traitor, JL suddenly became a Person of Interest. It's always been my DB's pie in the sky fantasy to have a young Russian hanging off his arm. Luckily for him he's got me now so he doesn't need to think about trying to seduce either young Americans or young Russians (and have his fantasy crash to earth if JL's ex is typical...)! What an exciting life you lead! I always have something to read (usually my Kindle) on me so if I have to wait anywhere, I'm happy. Lesson learned long ago when I spent about 30% of my life waiting for my future ex-h (it seemed). I bet a young Russian girl wouldn't do what you have to do for your DB although, from what you say, you don't either! I like the sound of these books - I remember Samantha's blog, haven't visited it for ages and didn't know her wonderful romantic story. The first book on the list is the fourth in the series. It stands alone, but is more enjoyable if you've read the others. The Sticky book is just amazing, and Sam's story is totally charming. Hi Jody, did Blogger eat your comment? DB = dearly beloved. Oh dear, poor DB! I've done a spot of care work in my time and bottie wiping is easier if you don't know the bottie! Hope you can get out on the bike again soon. I can't wait to get reading Samantha's book! Your poor DB. Not sure about cleaning someone's backside so yes, a rather good idea the Doc didn't plaster both hands. Thanks, DD. One would do it if one had to but... ewww. Leo's woken up at mention of Russian girls running out into the road with vodka in one hand and underwear in the other....feels he's missed out on life somewhere...as the only Russian entity he encountered was his beloved Russian car - the sort Putin now collects - which he ran on paraffin and which was so well armoured that anything colliding with it crumpled instantly leaving not a dent. No bikes for him....too dangerous. A friend of mine is married to a lovely Ukrainian girl whose parents have a locally-made vehicle which is so badly made it can be patched up with string (... is a very important thing. Rope is thicker, but string is quicker. Spike Milligan, Silly Verse for Kids). Good to have you back. And I hope that your DB is getting better. Thank you, Perpetua, he's on the mend and he's appreciating me every day in his poorly state.